On Sunday night, May 21st, 2018, CBS 60 Minutes ran a special titled, “The Real Power of Google” to kick off their regular, weekly broadcast. In this segment, 60 Minutes spoke to Silicon Valley lawyers, Google competitors, and the European Commissioner for Competition about whether Google should be considered a monopoly and whether or not their search and search advertising practices were legal. 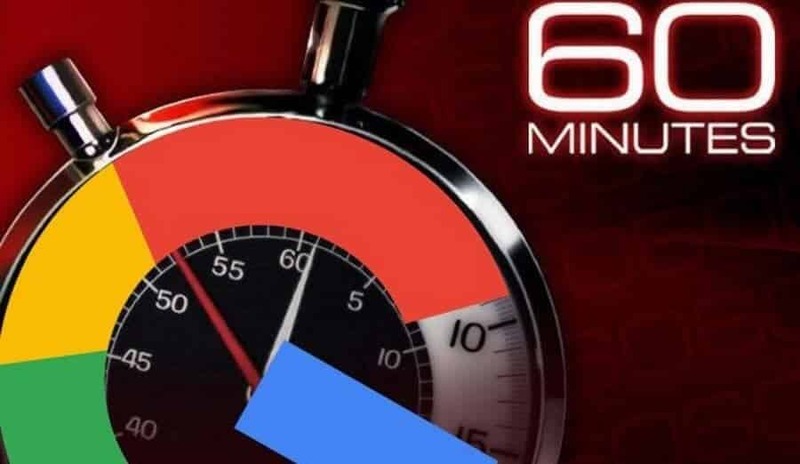 Due to the importance of Google to any digital marketing company, we decided to write the Insider’s Guide to the 60 Minutes: Google Special. 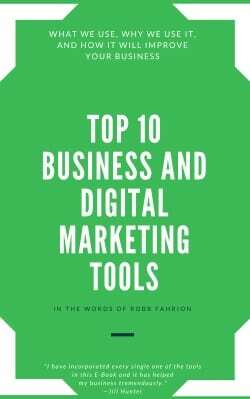 In the following guide, we will walk you through the ins and the outs of the segment and let you know what it means for Google and the digital marketing space. Tech giants like Google, Facebook, and Amazon have Washington worried. Over the past few years, Washington’s concerns have grown over the tech giants like Facebook, Google, and Amazon. These corporations have grown tremendously in size and continue to get stronger each and every year. Alphabet, Google’s parent company, is worth three quarters of a trillion dollars and has acquired more than 200 different companies, including YouTube, Android, and DoubleClick, to name a few. YouTube is the world’s largest video sharing platform and Android powers 80% of the world’s smartphones. While some of these acquisitions were investigated for violations of fair trade practices, not many were ever challenged or even looked at. It is well documented that Google paid Apple $3 billion to remain the default search on iOS and is the default search on many other operating systems across different technologies. Google is to search as Uber is to rideshare and Kleenex is to tissue paper. And he is right. 93% of ALL online sessions begin with entering a search query in a search engine site. Google connects us with parts of the Internet that we never even knew existed or never had access to in the first place. Google has opened doors to new products, ideas, cultures, and places. Last year Google handled 90% of the search queries online, which collectively totaled in the hundreds of trillions. And herein lies part of the issue some have with the company and its monopolization of industries. Google’s most valuable commodity is its information about us as users. With this information, Google is able to control roughly 60% of all advertising revenue on the Internet and that number is only growing due to the number of products Google is releasing of its own that could take the place, or at least some market share away from its competitors. Jeremy Stoppelman, co-founder of Yelp!, was interviewed during the segment and did not hold back any punches. 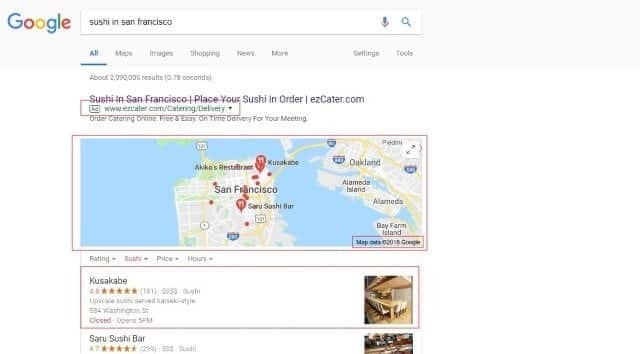 Stoppelman went on to show an example of the prime real estate on a Google search result, which is now littered with Google products like Google AdWords, Google My Business listings, Google Maps, among others. Google claims its goal is to improve its product by providing all of the information that a consumer needs without having to click through anything, thus making a search quicker and more effective. With Google taking most of the real estate at the top of search results, it is almost impossible for businesses to compete that are now being pushed further and further down the page. Screenshot showing Google Products taking up the entire search results initial screen. 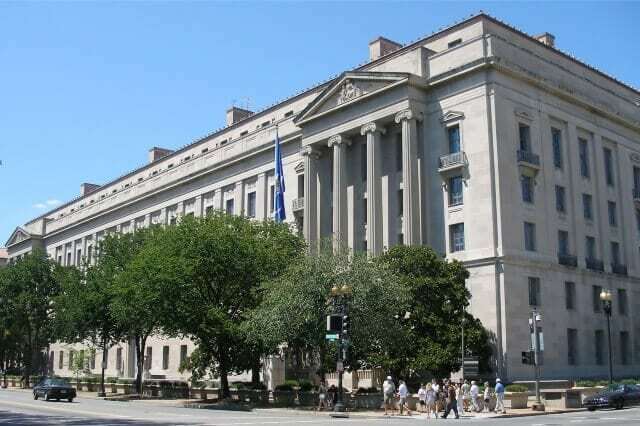 Yelp, Microsoft, Amazon, eBay, Expedia, and Yahoo all complained about Google’s “anti-competitive behavior” to the Federal Trade Commission, which eventually opened an investigation into the issues in 2011. The FTC’s Bureau of Competition even recommended that an anti-trust lawsuit be filed against Google stating that Google is in the unique position to “make or break any web-based business”. Recommendations were even made that cited Google for stealing competitors’ content and placing restrictions on advertisers. The recommendations were rejected and the case was closed. 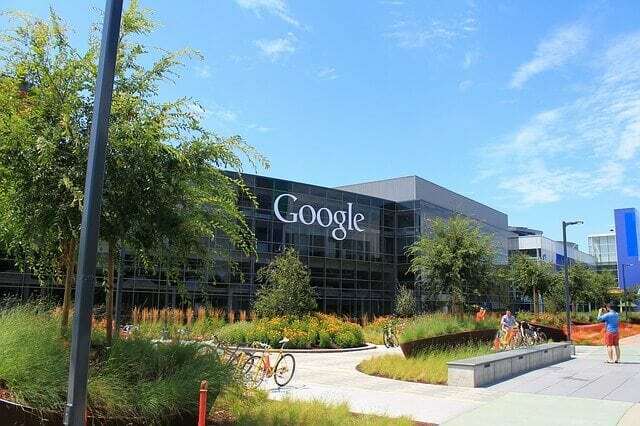 Others believe that Google’s outcome in the case was due to its political power and its close relationship with the Obama administration at the time. Google spent more money on lobbying last year than any other corporation, which includes hiring over 25 different lobbying firms on their behalf. Google also helped fund over 300 different trade associations that could have possibly determined and influenced policy decisions in Washington. Margrethe Vestager is a Danish politician and the current European Commissioner for Competition. 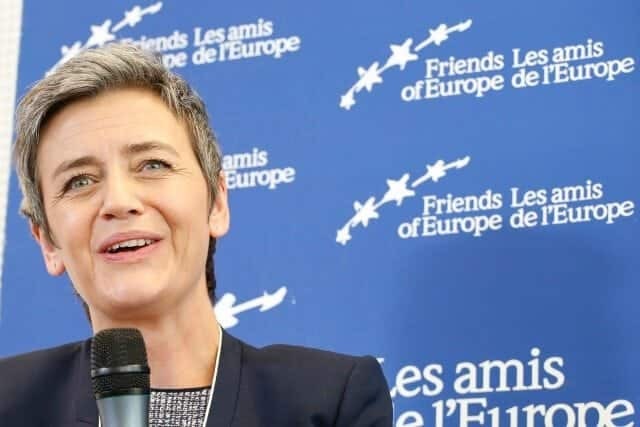 Margrethe Vestager is a Danish politician and the current European Commissioner for Competition who fined Google $2.7 billion in 2017 for violations over shopping searches. Vestager says her staff went through billions of Google searches and found proof that Google was manipulating its algorithms. In doing so, Google was promoting its own products and services instead of its competitors. Vestager believes this was done deliberately by Google and that they have directly manipulated the algorithm. However, no concrete evidence was provided during the broadcast. For the foreseeable future, this news about Google does not have any bearing on the current digital marketing environment. Google has been battling these types of allegations for quite some time and it is hard to believe that they are the only tech company that is operating in this manner. Even if concrete evidence of search result manipulation were to arise, it still would only be a small dent in Google’s armor. Google is a tech giant because of how well they do what they do. No one on earth can provide the search and advertising infrastructure that Google provides to millions and millions of people. Google is the single most important and dominant force on the Internet and possibly in our lives. Google knows more about us than even our closest relatives or friends. While Google’s power is seen as a dominant threat to companies like Yelp!, Google also levels the playing field for other businesses that understand the capabilities of the Internet. Companies in archaic industries have the opportunity to challenge larger competitors in ways they never could have before and smaller players have the opportunity to carve out niches in uncapitalized markets. Google allows the new kid on the block to be seen in ways he never could have been seen before. Google is going nowhere due to the fact that data is power and Google is the King of data. As consumers, we want the best products and Google is by far the most superior product on the market. It is not even close. Stoppelman was asked whether or not you have to be on Google if you are a business, “Yeah”, he said. We don’t see that changing any time soon.